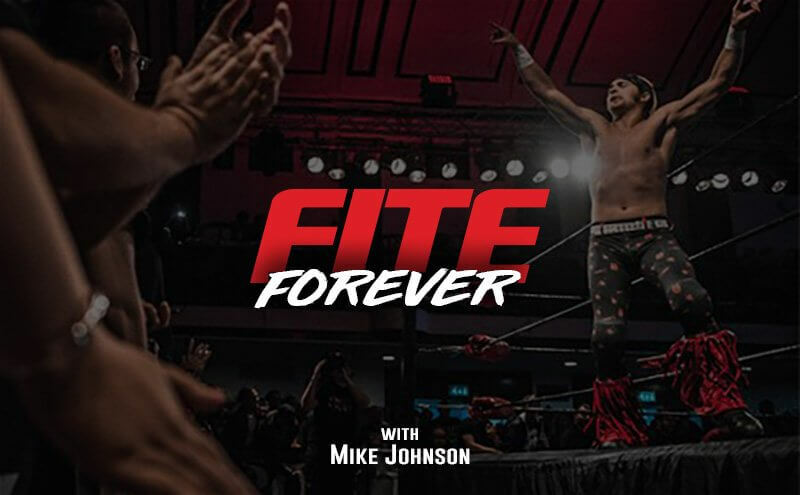 In every edition of FITE FOREVER, we look up upon the horizon of major forthcoming pro wrestling events and the top talents who will collide before our very eyes, live on FITE! With the eyes of the wrestling world descending upon The Big Easy, New Orleans will become the scene for an infinite number of showdowns and grudge matches. This week, FITE FOREVER runs down many of the competitors who will see combat there and beyond! 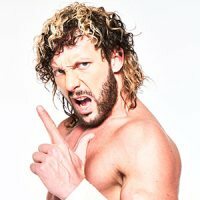 One of the most talked about self-made stars in professional wrestling in recent years has been Kenny Omega, who has garnered an incredible amount of fan support through his exploits in New Japan Pro Wrestling and beyond. At Ring of Honor's Supercard of Honor, Omega will step into the ring with his former Bullet Cub brethren Cody, their former friendship having sparked an intense rivalry that has cascaded over to their respective partners, Kota Ibushi and Brandi Rhodes. It is not often in modern professional wrestling where history can be made for the first time, but ROH is set to shatter its attendance record with Supercard of Honor. Speculation on Supercard has been amplified by Cody and Omega squaring off the first time in their careers, a feud that has been built across promotions and platforms. The spark has been lit for some time and now the powder keg is set to explode, live on FITE. Omega has been one of the most flamboyant, creative personalities in all modern pro wrestling lore, but he'll need to come to Supercard ready to fight to settle the issues that led to his Bullet Club exit. One of the most accomplished technical wrestlers in the world, the world traveling Sabre will be competing in several showcase matches for the WWN Family of promotions in New Orleans. At EVOLVE 102, Sabre will be defending his cherished EVOLVE championship against former UFC competitor Matt Riddle in a bout that will surely be highlighted by ground and pound grappling and ferocious strikes. Should Sabre survive that onslaught, it's on to WWN Mercury Rising the next day, defending against Japanese star Munenori Sawa. The former shoot fighting legend is a formidable obstacle to overcome in his own right but defending against Sawa after a war of attrition against Riddle may be too much for even Sabre to handle. Time will tell if and how the submission specialist does. 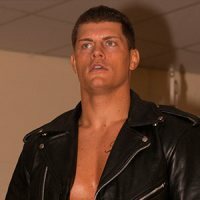 Whether it be the United States, Japan, pro wrestling or Hollywood, Cody has blazed quite the trail for himself in recent years, a series of memorable moments and victories only matched by his arrogance and ability to antagonize. While the former ROH World champion had had a stellar year, if there has been one shadow looming over his shoulder, it's former ally Kenny Omega. When the grudge match between pair explodes at ROH Supercard of Honor, it will certainly echo great rivalries of years past like Rhodes vs. Flair and Savage vs. Steamboat yet will carve its own legend through not blood, sweat and tears and its unique story, one that has been laid out across many venues and many months. It all comes to a head right here on FITE. Whether Joey Janela derives his might from greatness or ego remains a bone of contention for many within the world of professional wrestling. No matter what side of the fence you stand on, it's undeniable that it makes a special soul to have an entire event built around him. Janela is doing just that with GCW Joey Janela's Spring Break II, presenting perhaps the most unique and eclectic underground event in recent history. A night of fever-dream matches, the show will be headlined by Janela taking on Japanese legend The Great Sasuke, topping what is sure to be an insanely memorable FITE broadcast. Janela is brash, fearless and perhaps insane, but he's also a trendsetter. No matter where you stand on his divisive personality, he's undoubtedly a stand-out competitor. His event will be as well. When the history books on this era of pro wrestling is written, Nick Jackson and Matt Jackson will be the alpha and omega. What came before them they have burned down with their attitude, with their insanely creative mentality towards pro wrestling and their ability to push boundaries. What the Bucks have left in their wake is a changed professional wrestling industry, its parameters irrevocably forced into evolving. With each stunning dive, each awe-inspiring double team, each synchronized maneuver, the Bucks enrapture a new generation of fan and add another member to the Bullet Club's army. At ROH Supercard of Honor, they join forces with aerial artist Flip Gordon to challenge So Cal Uncensored for the ROH World Tag Team championships in a Ladder Match. Having already touched the sky, the Bucks now look to regain the gold, adding yet another chapter to their reboot of the pro wrestling universe. 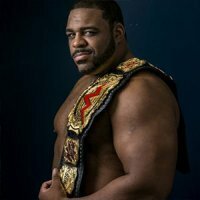 Keith Lee is a man who can enforce his will and since coming to EVOLVE and its sister promotions, he has done just that, capturing the WWN championship. Over the course of More Than Mania weekend, the big Texan has quite a few interesting challenges before him. At EVOLVE 102, Lee will face the death-defying aerial assassin Darby Allin, Goliath to his David. The next day, Lee will take on Austin Theory, who has ramped up an impressive series of performances in recent months, at EVOLVE 103. After those wars, Lee will then be tasked with defending his championship against one of the world's most stellar combat experts, Japan's Daisuke Sekimoto at WWN Mercury Rising. To exit the weekend successfully as champion, Lee will have yet another collection of notches on his belt. Impossible to underestimate, the hard-hitting Lee looks to bring the beatings on FITE. The current reigning, defending and preening Ring of Honor World champion will have his toughest villain to date at Supercard of Honor,, battling "The Villain" Marty Scurll. Unorthodox to the end, Castle's eclectic ways may have met their match with Scurll's unbridled villainy and tormenting ways. Marched into battle by The Boys in the Big Easy, Castle will be forced to prove that he, above all else, is the flagbearer and the measuring stick for all things ROH. Will the Peacock preen, or will the Villain flap his wings as the new champion? Place your bets. 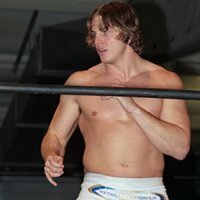 If you encounter Matt Riddle, you'll immediately recognize several qualities about this unique personality. One, he's cooler than ice. Two, he's a lethal combatant. Centered within those opposite attributes is one of the most charismatic athletes to enter the squared circle in some time. At Matt Riddle's Bloodsport, Riddle will bring pro wrestling back to its primal form, presenting a series of matches in a ring without ropes, submission or knockout being the rule of the day. At the event, Riddle will step into dream match territory, facing hard hitting pro wrestling knockout artist Low Ki. From there, Riddle takes on the best combatants the WWN family of promotions has to offer. 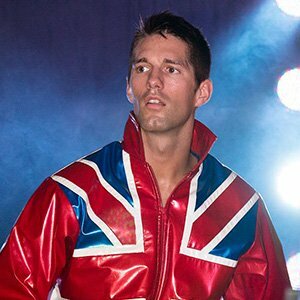 Riddle challenges EVOLVE champion Zack Sabre Jr. at EVOLVE 102. 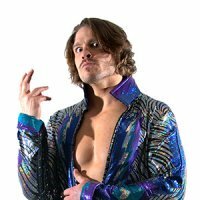 At WWN Mercury Rising, Riddle faces off with world renowned Junior Heavyweight Will Ospreay. With strikes to be thrown and submissions to be attempted, Riddle is entering an ultimate battlefield unlike any seen before on FITE. While women's professional wrestling is revolutionizing the world, the roots of its modern form formed in SHIMMER, the promotion that brought the art of women's professional wrestling back to prominence. 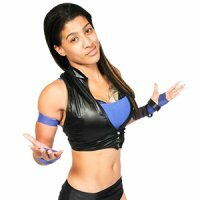 The promotion will celebrate its 100th event in New Orleans with reigning and defending champion Nicole Savoy defending against fellow Mae Young Classic competitor, well-traveled and respected veteran Mercedes Martinez. The suplex expert will look to successfully defend her championship and continue to paint the masterpiece that has been her reign atop of the SHIMMER world. The Junior Heavyweight legend has battled across the globe, from the Tokyo Dome to the ECW Arena, all in pursuit of glory, championships and victory. At GCW presents Joey Janella's Spring Break II, the masked legend steps into perhaps the oddest fight club that the masked man has encountered, one that will see him perform before one of the most raucous, underground audience ever collected. In facing Joey Janella, Sasuke may indeed be facing a skewed version of himself. Sasuke was knock for breaking out of the mold, for cultivating his own promotion, for stepping up against the best and for trailblazing his own unique path in professional wrestling. Janella may be the future, but in him, Sasuke will be facing his own past. Whether he can conquer it remains to be seen.